This is an excellent tool for monitoring http/https traffic. 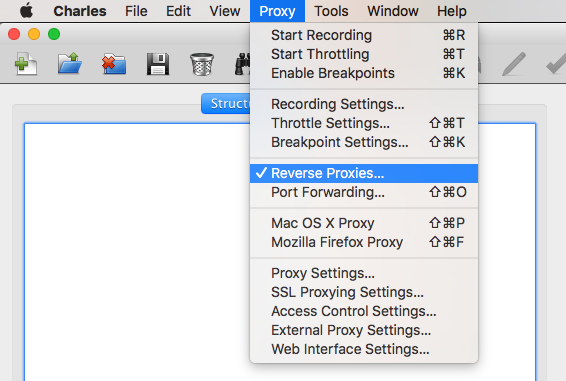 Check "Enable Reverse Proxies" and then click the "Add" button. A port will be assigned (55703 in the example below). 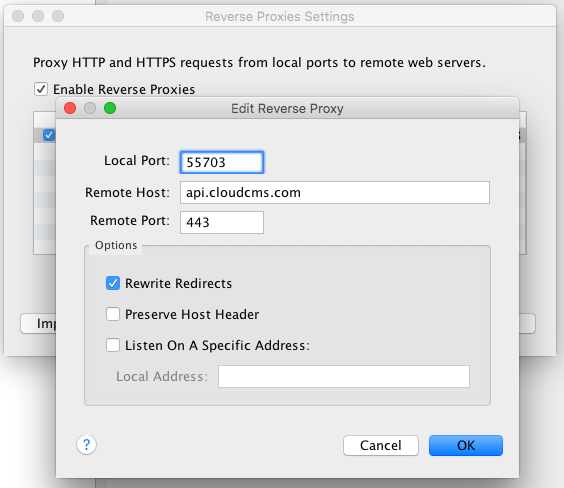 Set Remote Host to "api.cloudcms.com" and Remote Port to 443. Click "OK". Remember to restore baseURL in gitana.json when charles is not running or your node app will not be able to connect and will appear to hang on startup.